Astyr shares his concerns with Tenge. 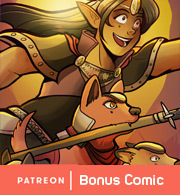 Big shout-out to the folks who have joined up on the Sombulus Patreon recently! 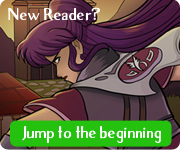 There's some cool art from my upcoming convention banners and a secret character preview in the Behind-the-Scenes Blog tier, so definitely check it out! 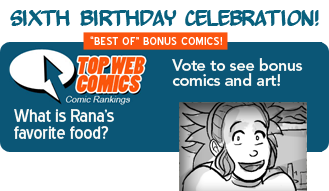 This week's bonus vote comic: Rana's favorite foods!